Hospitality and invitation have been the hallmarks of the recently closed Mount St Benedict Centre where all guests were “welcomed as Christ”. 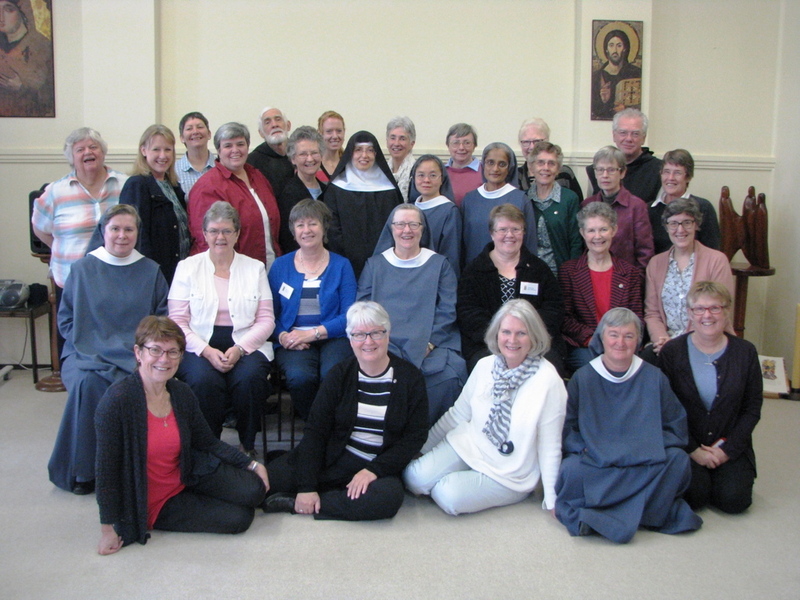 The Mount St Benedict Centre – formerly the Novitiate – in Pennant Hills closed last month after 90 years of formation for the Sisters of the Good Samaritan and the wider faith community. 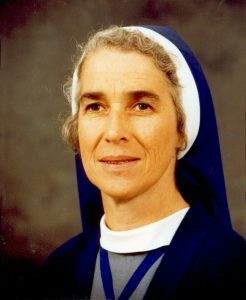 Former Mistress of Novices, Sister Bernice McDonnell SGS and the Mount St Benedict Centre’s final Director, Natalie Acton reflect on the life of the place which has housed nearly a century of spiritual formation. The Good Samaritan Novitiate building has been a significant landmark in our history. It was with a sense of joy, even excitement that I came, at a young age, to this building on 6 January 1951, accompanied by three like-minded companions from Queensland. 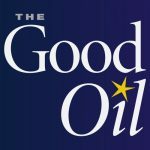 As a Postulant, with little real knowledge of what lay ahead, I embarked on a three-year period of spiritual and religious formation that would take me to my goal of being a Sister of the Good Samaritan. That goal achieved, and lived now for some 65 years, I was privileged to be present again, on 15 March, to take part in the ritual of leave-taking of this congregational building currently named the Mount St Benedict Centre. From 1927 to early 1990s this was the house of formation for those admitted to the Novitiate. Here was the place for Novices to learn something of the charism of the Sisters of the Good Samaritan, of its foundation and its founder; to learn about the congregation’s life and practices, and ultimately to discern whether this was in fact the way of life to which God was calling them. Stories and memories of this deeply personal experience of the time of Novitiate would have to be individually told. I offer my own as a reflection. At the time of my years in the Novitiate (1951- 53) the house was full with around 50 novices. There was strict separation of contact between novices and professed Sisters, apart from shared experiences in the Chapel or on other special occasions. From the beginning, under the guidance of the Mistress of Novices (as the Director was then named) we followed a program of instruction in prayer, study of Scripture, the religious vows, liturgical practice and singing, with ample opportunity for manual work in a large building, all interspersed with celebrations of Feast days, often with a concert performed by the Novices. The historic second Vatican Council brought renewal and gradual change to religious life generally. It was at this time, that with genuine surprise and some trepidation, I found I was to return to the Novitiate in 1969 as Mistress of Novices. With the congregation moving into review, and the gradual changing of some practices, it was to be expected there would also be change in the way of Novitiate formation. The fundamental values and practices were faithfully retained, and the basic work of discernment continued. But now, for example, some second year novices were travelling by car to St Scholastica’s Teachers College – a novice with a license driving! They spent some time away from the Novitiate, even moving interstate, for an experience of community living. 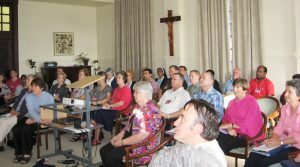 They joined with novices of other congregations for instruction in theology, liturgy, spirituality, scripture, the attending groups presenting in turn the story of their respective congregations. An important renewal for the congregation was the reconnecting more firmly with our Benedictine roots, and for the Novitiate this was through contact with the Sylvestrine Benedictine monks who, in 1962, established a monastery relatively close by at Arcadia. A regular visit to the Novitiate by one of the monks assisted a deeper knowledge and understanding of the Rule of St Benedict. Members of the Benedictine family gathered for a three week study program led by German scholar, Sr Manuela Scheiba OSB 2014. The Good Samaritan Novitiate progressed through further changes in succeeding years and for a time many more young women came in response to God’s call and to discern its reality for them. In concept and usage this building was, in today’s idiom, a sacred place, the starting point for the novice to set out on a life given totally to God. Sister Bernice McDonnell SGS was the former Mistress of Novices from 1969 to 1974. I remember my first encounter with the Mount St Benedict Centre. Like many first time visitors I wondered how it was possible that such as oasis of calm, a place of such sacred spaces and memories could sit nestled beside Pennant Hills Road, one of the busiest and most congested roads in Sydney. I would soon realise that this juxtaposition was in fact a symbol of its core ministry, that the Mount St Benedict Centre sits as a reminder of the fact that the God of peace waits patiently, steadfastly amidst the hustle and bustle of our fast-paced contemporary life. That our spiritual life is inextricably embedded in the everyday. Church and mission folder being explained by the formation team (1983). In the years following, I became a frequent visitor to the Centre attending events and reflection days, meetings and eventually frequent cups of tea and conversation, as I came to develop a relationship with the Sisters of the Good Samaritan who worked there. I recall that when I walked beneath the low lying, blossom laden, branches of the tree that canopied the pathway, and felt the familiar breeze across the clositer, I always had the sense somehow of coming home. As I waited on the doorstep, I would often call to mind the many women and men who, over the years, had waited at this very threshold – who like me had come to that door seeking. I knew the consistency of the greeting that would await me. A welcome that I now know was forged in experiencing the hospitality of God through encounter with the scriptures and community, and inspired by a parable that invites a special kind of seeing and responding. I had hoped that one day, through my own experiences at the Centre, through the programs, opportunities for prayer, spiritual direction and conversations with others on the journey that I too may learn to “open the door” like that for others. Gathering of Directors of Formation. Eight years after my first encounter with the Mount St Benedict Centre I was fortunate enough to be given the opportunity to work at the Centre as Director. In my role I had the privilege of coming to know the women and men who had been faithful friends of the Centre over many years. I would often hear stories of inspiration, of transformation, of healing and of hope that were a natural part of the life of the Centre. I was also very privileged to hear the many stories shared by Sisters of the Good Samaritan who would beckon me aside in a room, or a corridor or in part of the garden to recall their time at the Centre as novices. These conversations would often end with a wink, and the whispered words, “if these walls could talk!”. Celtic spirituality uses the expression “thin places” to describe the places where the boundary between heaven and earth seems especially thin, a place where God seems more present, where our sense of God’s closeness is heightened. Over the years I have heard many people describe the Mount St Benedict Centre this way. The Rule of Benedict encourages us to seek God, it also reminds us that God seeks us first. For me, and I know for countless others, the Mount St Benedict Centre has always been a place where that process of seeking and being found seemed that little bit easier. 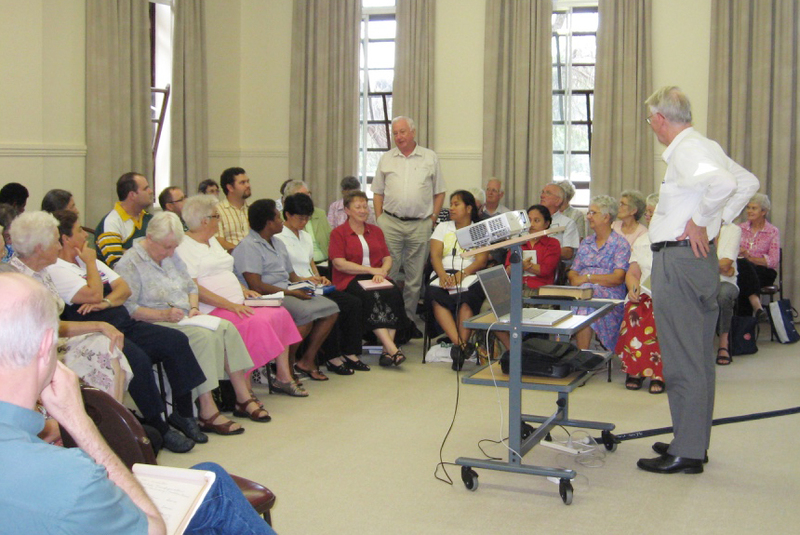 Lenten formation day with Michael Fallon (2011). 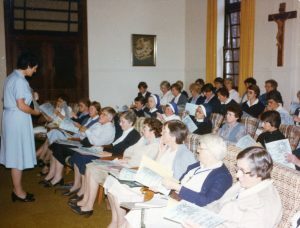 Lenten formation days were held annually at the Centre for over 30 years. Tim Gorringe in his book the Theology of the Built Environment notes that people “ensoul” and “enstory” their places and, over the course of time, these places “ensoul” the people. As I walked the floors of the Centre I often thought about the many prayers that had been offered, the feet that had stepped the stairs, the hands that had worked in the gardens and kitchen. I thought of the silences, the laughter, the tears, the promises that had been made in that place. When you are at the Centre, this communal story seems palpable. The people and events that have happened there will be forever held in its sacred memory. This place has been “enstoried” by the unfolding of God’s mission in the more than seven hundred and seventy women who have been formed there as novices and the thousands of women and men who have come after them. As the Centre becomes part of the Mount St Benedict College, a new page is turned, and a new chapter of this story begins. Natalie Acton is the Sisters of the Good Samaritan’s Director of Operations and the final Director of the Mount St Benedict Centre.